Mon., June 18, 2018, 5:52 p.m. 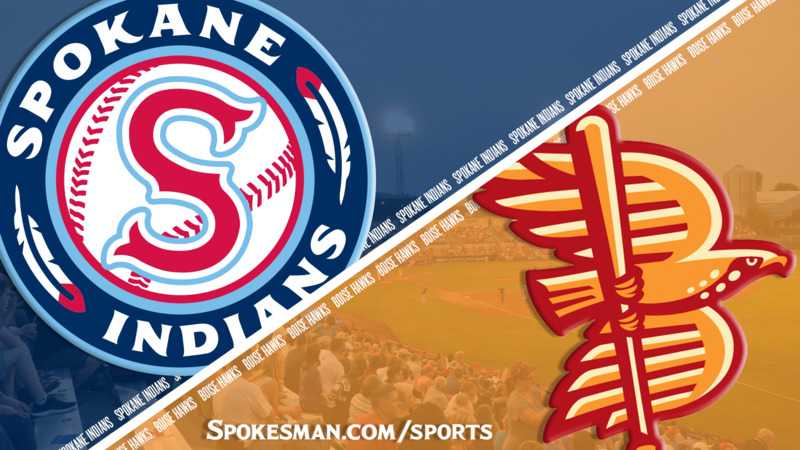 The Spokane Indians (1-2) host the Boise Hawks (2-1) in the fourth of a five-game Northwest League series on Monday at 6:30 p.m. at Avista Stadium. Spokane is scheduled to send RHP Seth Nordlin (3-0, 2.49 ERA in 12 games for Texas Rangers Arizona League in 2017) against RHP Frederis Parra (5-6, 3.74 ERA in 25 games for Low-A Peoria in 2017). Nordlin, 20, was a 13th round pick of the Rangers in the 2017 MLB Draft. Promotion: It’s Bark in the Park Night! Fans and dogs alike receive the special group rate of $5 per ticket. Fans that bring their dogs will get to sit in a special pet only section and all proceeds from the dog tickets will be given to the local animal shelters. Transactions: RHP Werner Leal was transferred from High-A Down East to Spokane. He is scheduled to start on Wednesday at Tri-City. INF Kenny Mendoza was transferred from Spokane to Arizona League. RHP Luis Rosario was transferred from Spokane to Arizona League. Last night: Hidekel Gonzalez hit a two-run single as part of a six-run seventh inning and the visiting Boise Hawks (2-1) handled the Spokane Indians (1-2) 9-3 on Sunday. Spokane starter Tai Tiedemann turned in four solid innings, allowing one run on three hits and two walks, striking out two. Curtis Terry hit a two-run homer for the Indians, the team’s first of the season. Around the minors: Sunday’s Northwest League and Texas Rangers affiliates results. Published: June 18, 2018, 5:52 p.m.